A series of four articles by James Darley, giving insights into his success with the breed at work and in field trials. Published 1999 – 2000, they remain relevant to trainers and handlers today. Why being naughty in class makes a "good boy"
Max listened attentively as I told a class of teenage boys about schooling spaniels and the subtleties of achieving a balance between control and enthusiasm. Max, a Clumber spaniel just past his first birthday, rose to the invitation. The two large black paw-prints he promptly placed on my shirt front were a source of some amusement to the boys. I laughed along with them. But he had helped make my point. This new angle on adolescent behaviour went down well with the boys, gathered in a semi-circle on a woodland ride within the extensive land holdings of Ampleforth College in North Yorkshire. They were members of Ampleforth’s rough shoot club, an admirably politically incorrect initiative for a leading independent school. While most of the group had gundogs at home, and took an informed interest in training matters during holidays, the club encourages participation in field sports even by boys from non-sporting backgrounds. They learn about keepering and rearing, shoot management and gun safety. Boys in their early years beat on shoot days for the older ones, all under firm but benign supervision. Game is not plentiful and has to be worked for. Now that Max and I had their full attention, the message I wanted to impart was that in training, tactics can be adapted to serve the long-term strategy. The objective of a fully finished spaniel takes time to develop, and can be reached with tact and guile as well as conditioning. It is not enough to aim for a dog that is perfectly obedient. The fascination of spaniel work is that it demands a much more elegant solution. The goal is for a dog with all the behaviour and control needed to work him – be it at covert-side, in the beating line, below the tide-line or when rough shooting – but with all his spirits intact, full of initiative and confidence, and capable of acting independently yet in harmony. At its best, the spaniel and the gun enjoy a remarkable relationship. 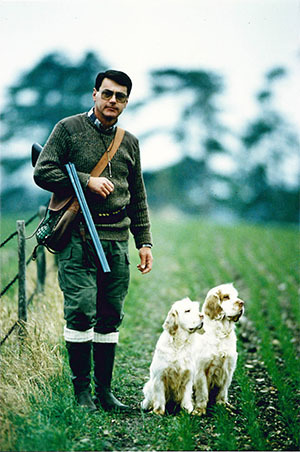 Not of equals, of course, although a good dog could possibly make as good a fist of shooting as most of us could of game-finding in the worst conditions where spaniels come into their own. manners under check. All that is easy compared with the spaniel’s part. He employs his pace and his punch to discover and capture game, forcing it to risk escape within sight and range of the gun. Then there are his retrieving skills, over land and water, without which too much of what we shoot (and fail to kill outright) would be lost. And as well as using his eyes and ears, he practises a magic denied to man, in the scenting power of his nose that we can only wonder at. He can thereby make fine distinctions we may not always fully appreciate. The classic example is a rabbit winded, found and followed in the thick, flushed, shot, wounded and still moving. The sequence, maybe none of it in view of the dog, involves him in a series of decisions, each of them on the cusp of what is required and what is forbidden. What, then, is the spaniel’s prime task? To hunt, be steady and retrieve. Yes, all these make up its job. But its first purpose is to give pleasure. Efficiency and productivity are very important, but it is style, above all, that we look for. So, what does style mean? 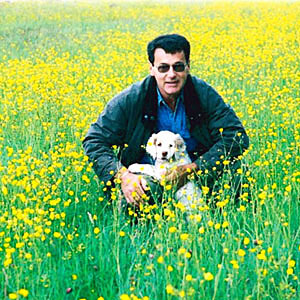 What is this quality that counts for so much, especially in field trials where fine distinctions between equally excellent dogs are made? Quite simply, it is what makes working a spaniel such a delight, such a fascination: it is the ability to get the handler’s adrenalin flowing and put a lump in his throat even when the dog is not finding the stuff it is looking for and his barrels remain clean. 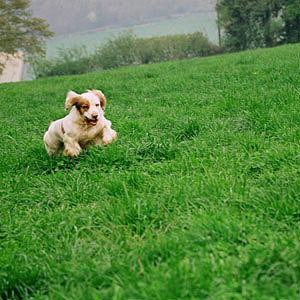 Fostering that elusive quality is the prime function of the spaniel’s trainer – just as a good schoolmaster is looking to give his pupil a broad and full education for life, rather than merely to cram him with academic information.